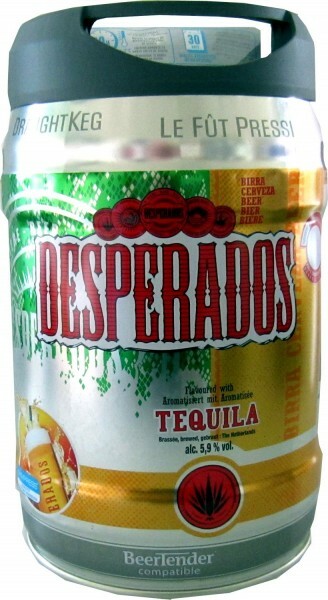 Product information "Desperados beer with Tequila in 5 liter keg incl. Spigot"
Desperados beer mixed drink with tequila, 5.9% by volume. Related links to "Desperados beer with Tequila in 5 liter keg incl. Spigot"
comment "Desperados beer with Tequila in 5 liter keg incl. Spigot"
Customer evaluation for "Desperados beer with Tequila in 5 liter keg incl. Spigot"